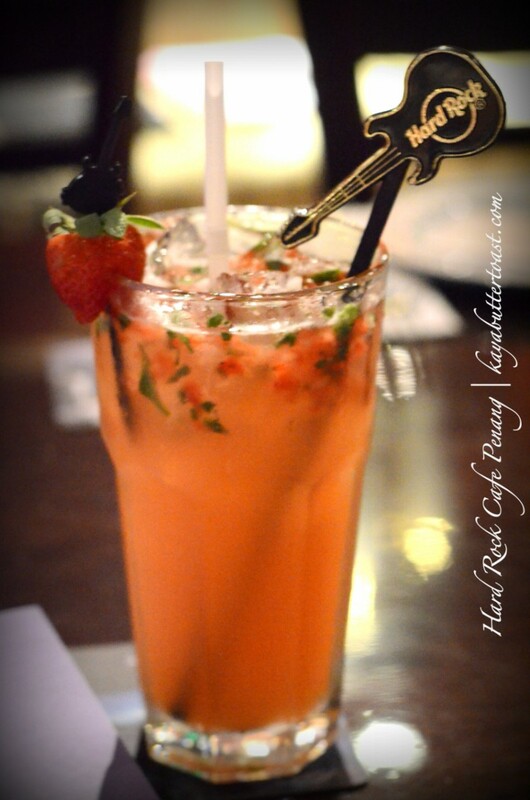 Strawberry Basil Lemonade RM26.00 per glass. RM85.00 nett with Pint Glass. 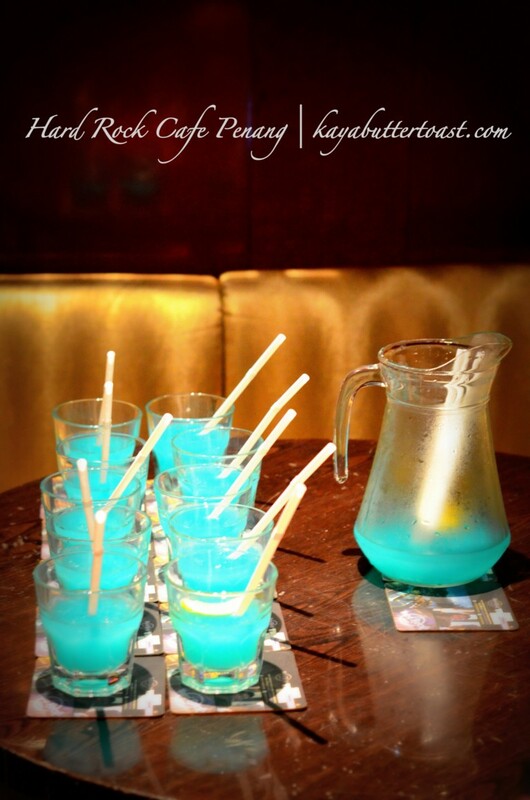 Upon reaching there, we are being served this awesome refreshing drink. A new concoction of fresh strawberries and basil muddled together and made of scratch lemonade. Helped to quench our thirst after driving for 40++ minutes to reach Hard Rock Cafe and freshen us up to go for the review. Their smoked chickens are hand-pulled to maintain the tenderness and juiciness of the meat. 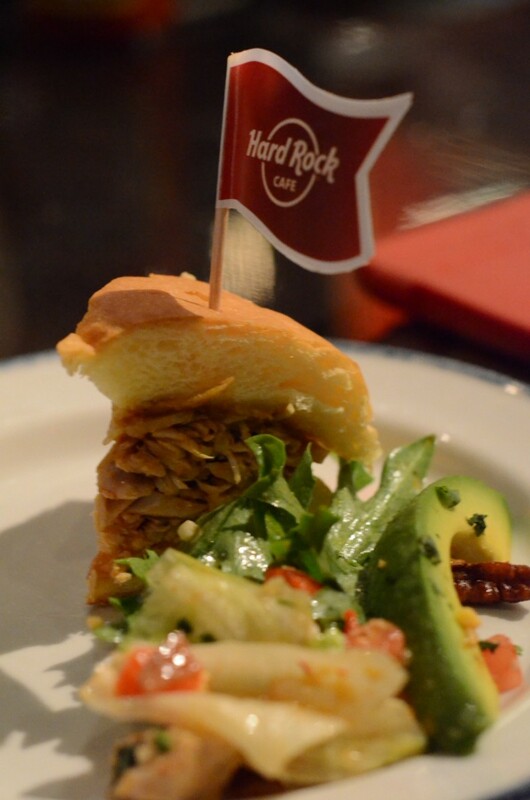 It is served with toasted Ciabatta bun topped with Hickory Bar-B-Que sauce. 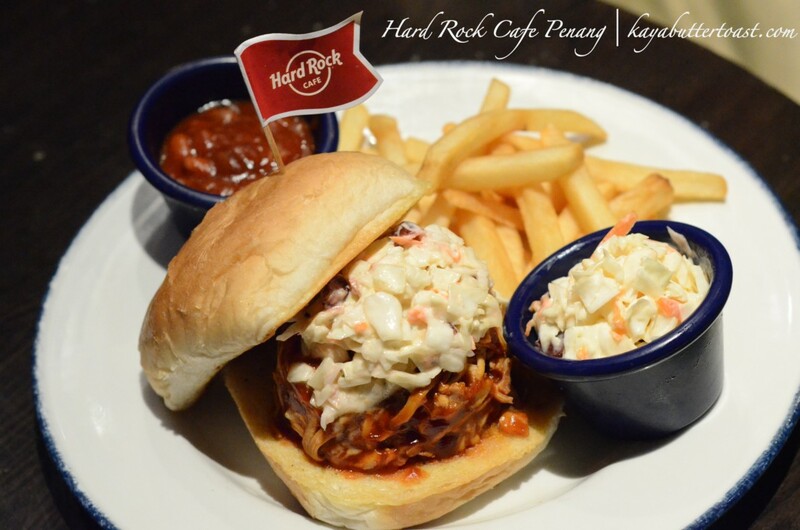 It comes with creamy coleslaw and served with ranched beans ad seasoned fries. The main difference is its tangy homemade South Carolina style mustard Bar-B-Que sauce with crispy slaw and crispy onions. This one is a bit more spicy for those of you who love all things hot and spicy. 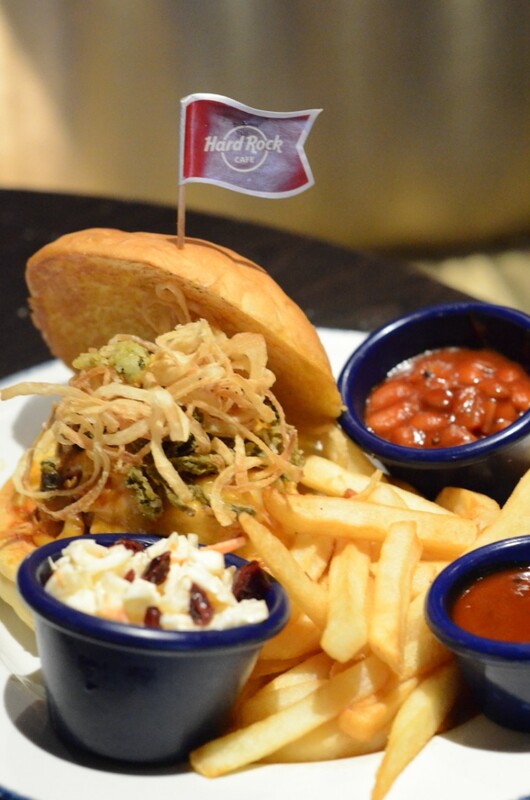 It comes with Chipotle and Hickory Bar-B-Que sauce, cheddar cheese, crispy jalapenos and cripsy onions! And if you can’t get enough of it, add RM10 to make it a 100z. This is their all star and world famous eat. Just that this time they added a new flavor: chicken. Topped with seasoned turkey bacon, two slices of cheddar cheese, a crisp fried onion ring, lettuce, tomato and pickles. Here is an awesome local favorite burger. The word ‘percik’ is a Malay word which means sprinkle. 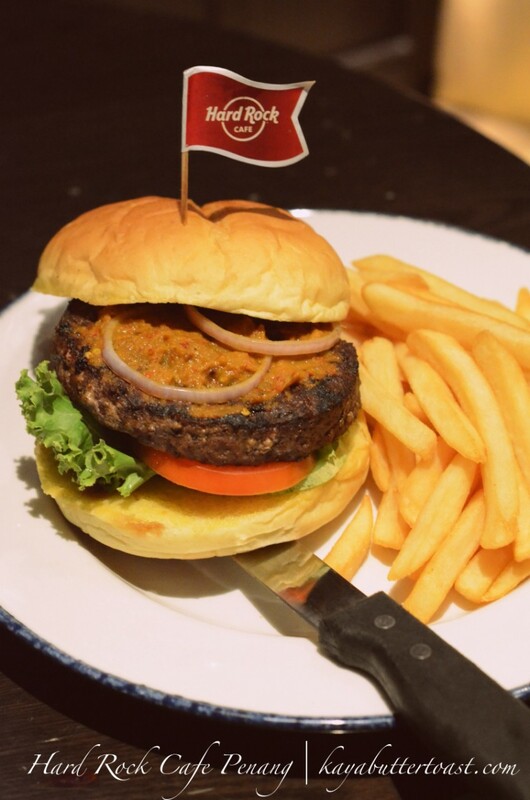 Juicy burger basted with a paste of Malaysian spices and topped with cucumber slices and fried onion straws. Very recommended for Westerners who wanted to try some different and something Asian or for locals who missed the local delights. People behind the scenes explaining to us about the process of making the legendary eats. And HRCP is rockng the wok with new all time Asian favorites. It seems that HRCP is adapting to the taste of the locals. You will definitely see more Asians coming over to eat in HRCP. Ferringhi is a Portuguese word which means foreigner. Long long time ago, the locals living in Batu Ferringhi saw Portuguese people stocking up water from Penang Island before continuing their journey with ships hence the name Batu Ferringhi (Foreigner’s Rock). Ceh wah, talking about histroy pulak. Very sorry, recently Kaya went for Tour Guide course, so bit ‘historical’. Haha 😛 Now back to the food. 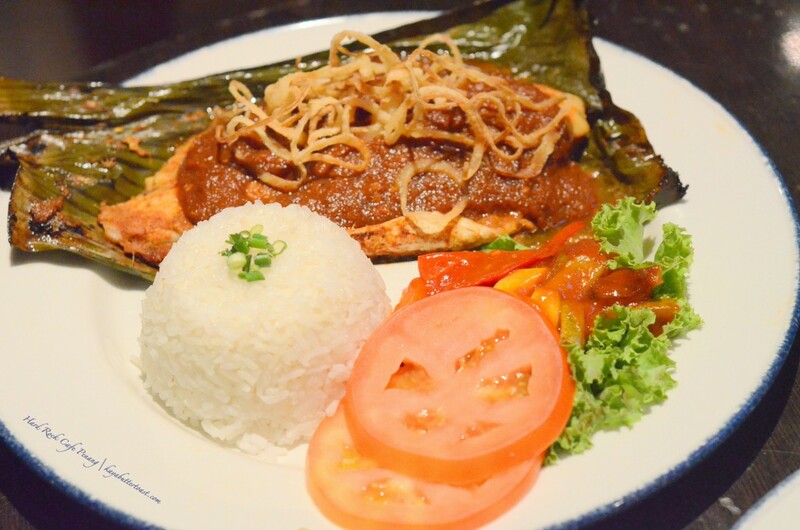 It is a baked fillet of seabass with Portuguese sauce wrapped with banana leaf. Served with acar rampai and steamed rice. Needless to explain. 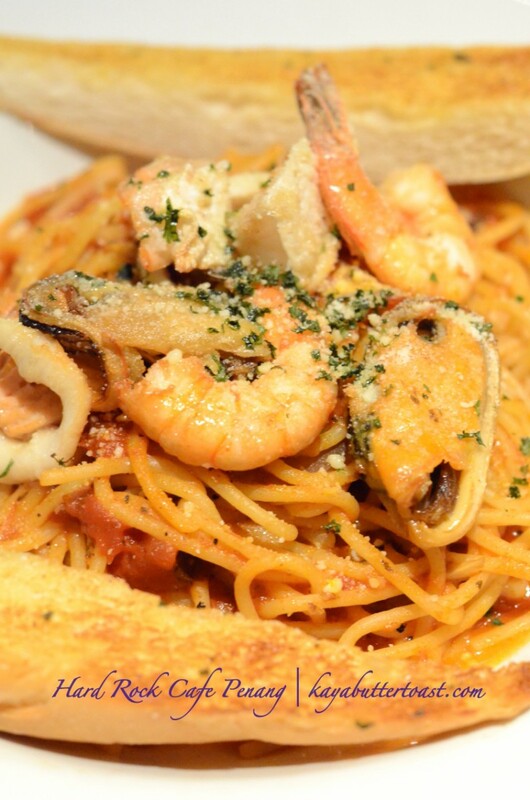 For seafood lovers, this is your dish!!! 😛 Spaghetti is well cooked and the sauce is good. And it is served with garlic toast. Tom yam is definitely still a big time favorite of the locals and overseas as well. Well, now you can have it here. Hot and spicy. 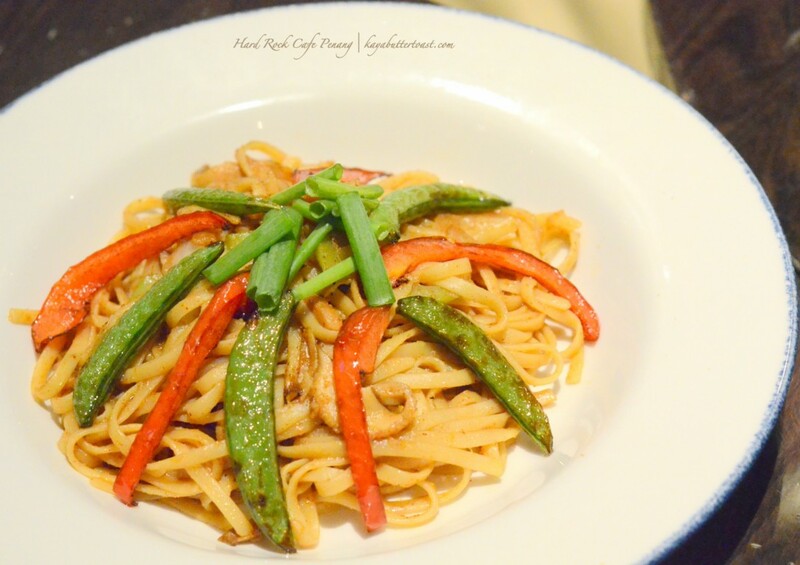 Wok-fried pasta with tom yam sauce with succulent seafood and fresh vegetables. 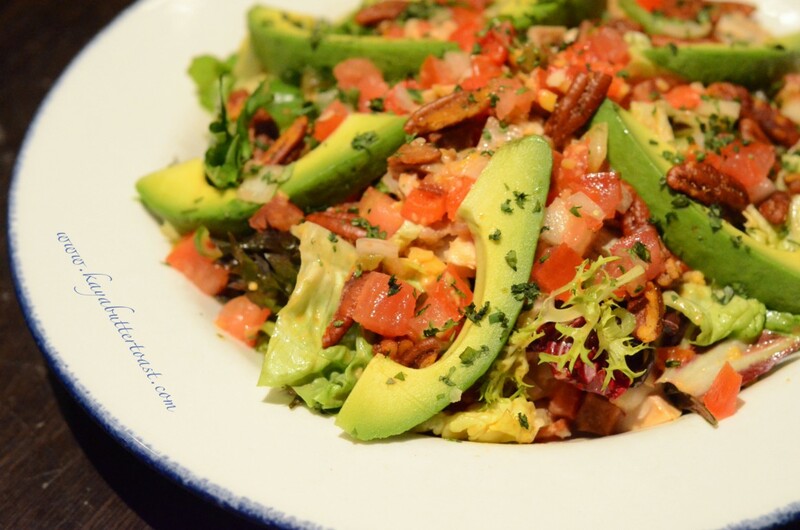 And for those who don’t like meat or a vegetarian, no worries, Hard Rock Cafe has you covered. 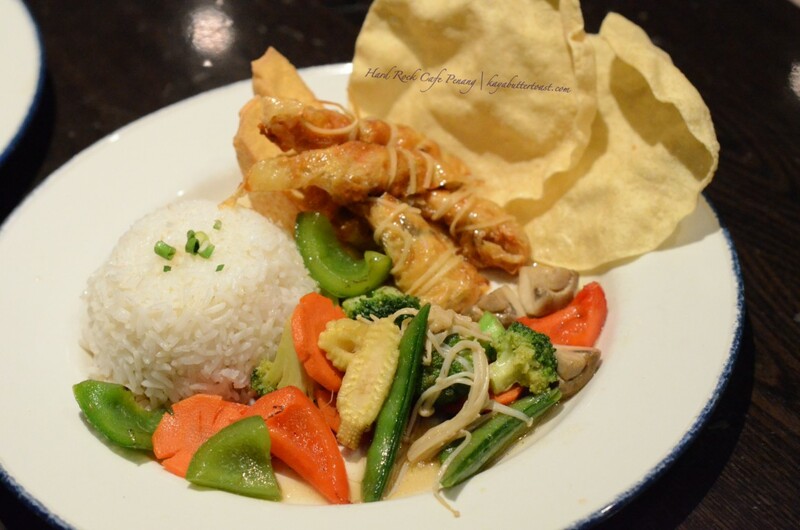 Stir fried seasonal vegetables with garlic and vegetarian oyster sauce, served with fried vegetable ‘prawns’, fried bean curd and steamed rice. Ingredients needed to make the Strawberry Basil Lemonade. 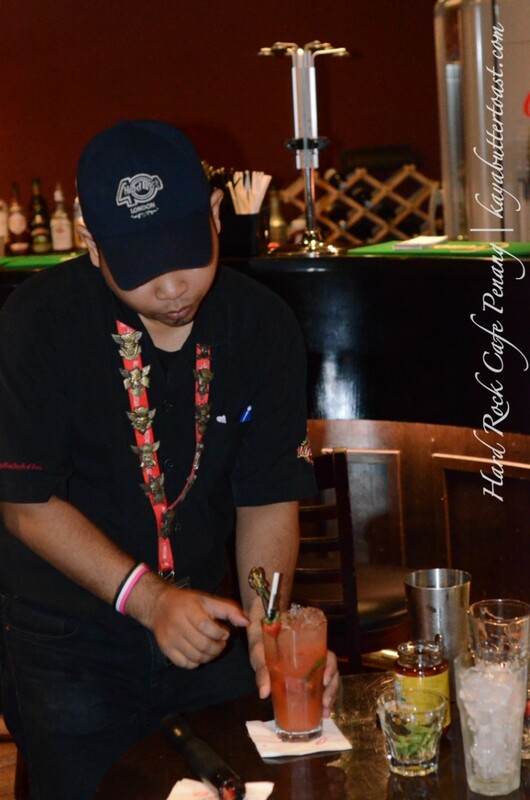 One of the waiter showing us how the Strawberry Basil Lemonade is done. 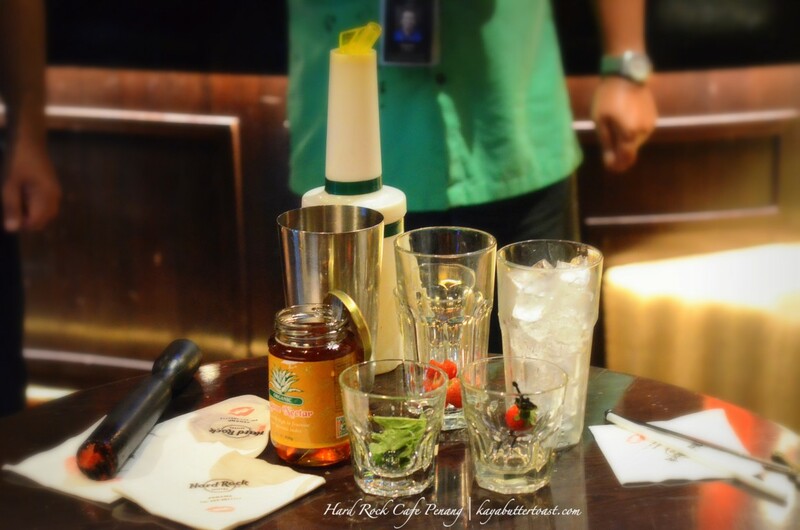 And finally we get to taste some of the famous cocktails in Hard Rock Cafe. Really loved the color. So beautiful and serene. Definitely many will want to know what is this cocktail right? 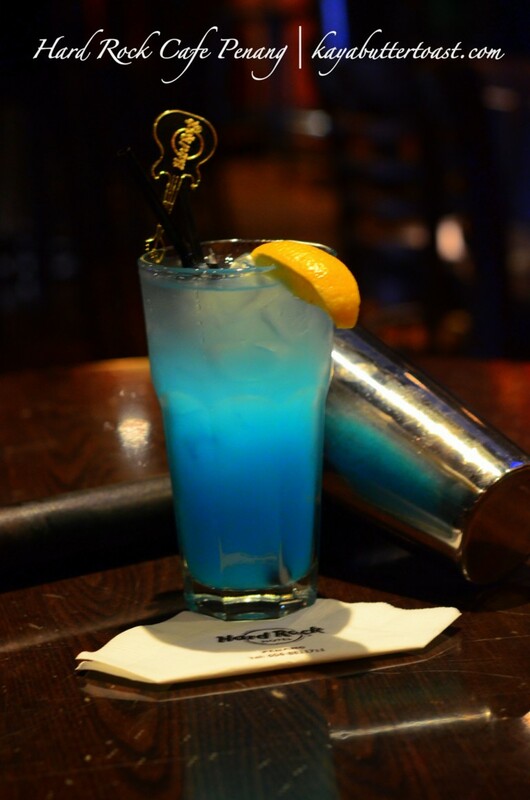 It’s a concoction of Smirnoff Vodka, Blue Curacao, Ginger Liqueur and made from scratch lemonade topped with club soda. 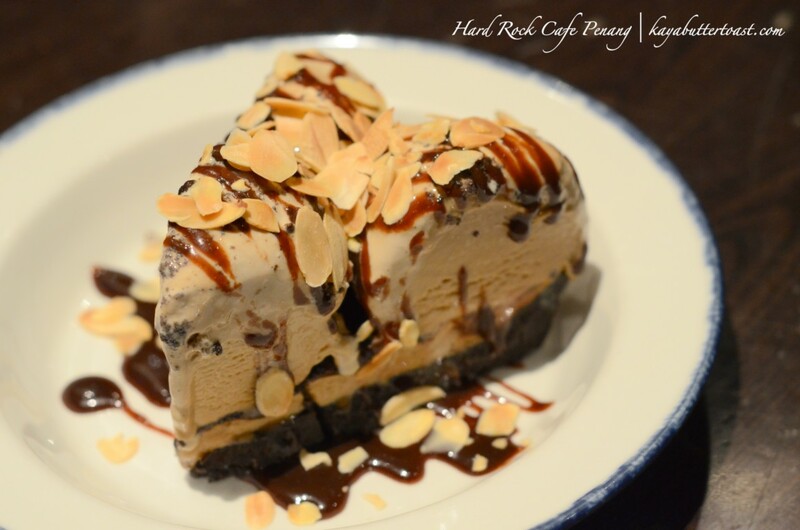 Cookie crust filled with a heavenly concoction of coffee and chocolate ice cream topped with hot fudge and crunchy almond flakes. THIS IS A MUST MUST TRY if you are craving for a very heavenly and mood uplifting dessert. This is the highlight of the day!!! Kaya particularly loved this dessert that he ordered another one just for himself. Super AWESOME!!! 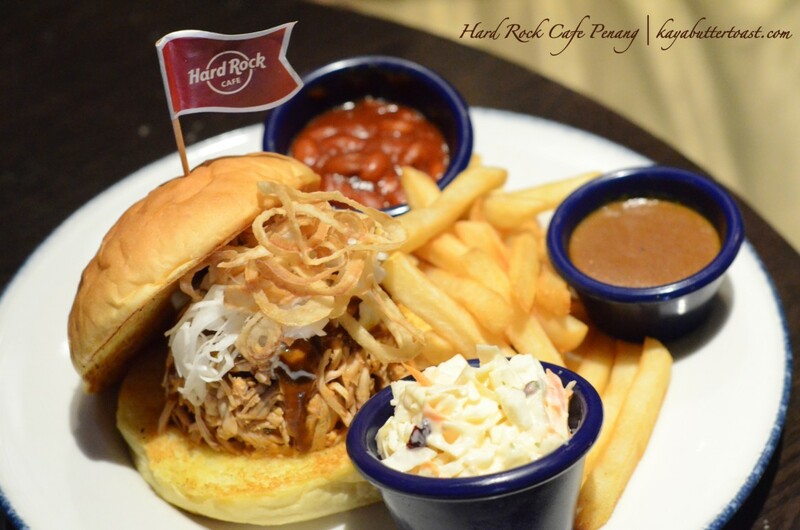 Overall, you cannot go wrong with Hard Rock Cafe. The quality, taste and overall presentation is definitely world class. 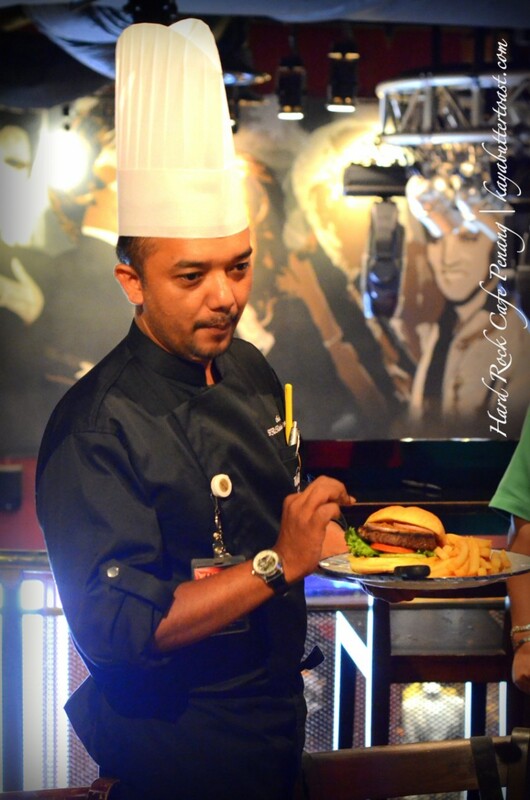 Pick the one that suits your taste buds and enjoy it with the ambiance and the rock songs that are being played. Makes KayaButter thinks of the good times we had reviewing the food. 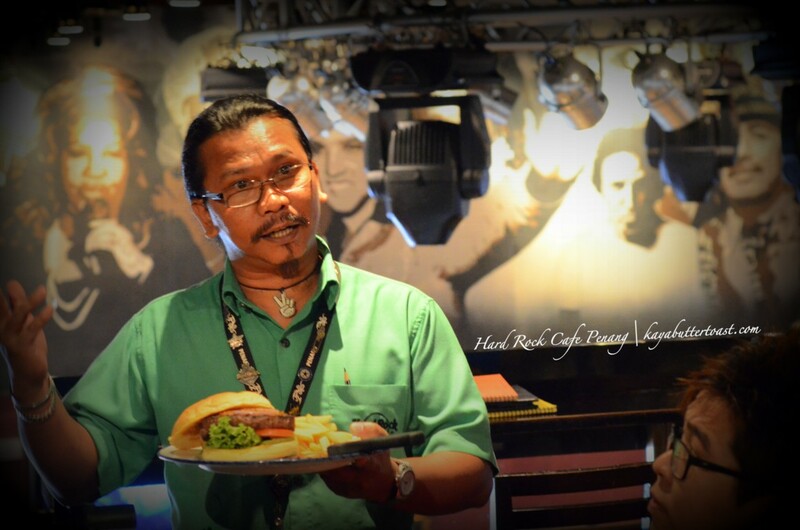 You can actually hitch a ride to Hard Rock Cafe Penang using its own free shuttle servce at any four Hard Rock bus stops along Batu Ferringhi’s night market on a daily basis from 6:30PM to 11PM with an interval of 30 minutes. Next story H-Artistry – A SUPER Elevated Clubbing Experince Is Here in Penang @ SPICE! wahhhh! Hard Rock! Chiak ho liowwwww!